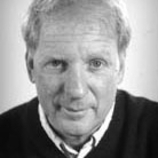 Michael Winerip has spent more than thirty years as a reporter. He’s covered just about everything out there, from a smile contest in Louisville, Kentucky, to a gold plumbing scandal that forced the resignation of a top school official in Miami, Florida. Armed with a collection of colorful stories and a distinct opinion regarding today’s educational system (he works as an education columnist for the New York Times), Michael Winerip’s debut book for young adults, Adam Canfield of the Slash, is a fast-paced, laugh-out-loud story. This book was followed by two others: Adam Canfield: Watch Your Back and Adam Canfield: The Last Reporter. Readers who follow Adam and his fellow investigative SLASH reporters at Harris Elementary/Middle School,will experience the excitement of breaking the big story along with the characters. Michael Winerip lives in New York with his four children and his wife.